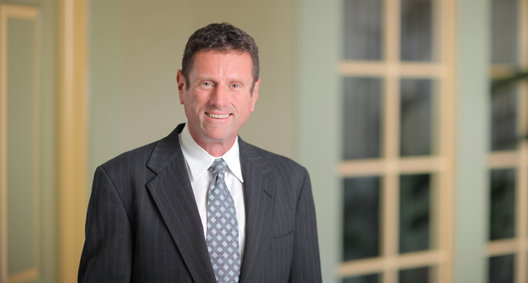 John Burke focuses his practice in the areas of trade remedies and regulatory compliance. He has more than 30 years’ experience in anti-dumping and countervailing proceedings before a wide range of U.S. and foreign agencies, courts and international tribunals. John also practices in the areas of export controls, sanctions, anti-boycott regulations, customs, anti-corruption (FCPA), foreign investment (CFIUS), and other international trade-related matters. John is dedicated to his clients and applies complex legal theories to situations in a manner that they can apply to their businesses and operations. Has represented foreign producers, exporters, U.S. importers and foreign governments in trade disputes and related proceedings in the United States involving softwood lumber, uncoated groundwood paper, supercalendered paper, live swine, magnesium, dairy products, various consumer products, chemicals, and certain steel products. Developed corporate compliance and training programs in the areas of export controls, sanctions, anti-boycott regulations, the Foreign Corrupt Practices Act and customs for a wide range of companies, including those in the financial, aerospace and defense industries. Counseled companies on conducting internal investigations of possible export control violations, including advising those companies on the procedures and penalties associated with violations of export control laws. As part of BakerHostetler’s role as court-appointed counsel to the Securities Investor Protection Act (SIPA) Trustee for the liquidation of Bernard L. Madoff Investment Securities LLC, performs work related to international feeder funds and the recovery of assets during the liquidation. Led the team that obtained rates of zero for our client in the U.S. Department of Commerce anti-dumping preliminary and final determinations of uncoated groundwood paper from Canada, and the lowest rate for any respondent in the anti-dumping investigation of softwood lumber from Canada. WTO: Served as outside counsel to the Canadian government in WTO anti-dumping disputes over softwood lumber, in particular with respect to successful challenges to the American use of "zeroing" in anti-dumping investigations and reviews. Has represented Australian and U.S. companies in safeguard proceedings on wheat gluten brought pursuant to Section 201 of the Trade Act of 1974. Has represented U.S. companies in connection with antidumping actions in Mexico against steel, pork and paper imports from the United States; in China against certain glycol ethers from the United States; in Brazil against paper imports from the United States and Canada; and in Canada against copper pipe fittings from the United States, Korea and China. Represented major corporations during investigations by the Commerce Department’s Bureau of Industry and Security, U.S. Customs and Border Protection and the Treasury Department’s Office of Foreign Asset Controls. Obtained commodity classification letters, commodity jurisdiction determinations and export licenses for hardware, technology and software from the Commerce Department’s Bureau of Industry and Security and the State Department’s Office of Defense Trade Controls. Represented U.S. sellers and foreign buyers in obtaining clearance for foreign acquisition of U.S. businesses from the Committee on Foreign Investment in the United States (CFIUS) under the Foreign Investment National Security Act. Has obtained asylum for clients under immigration laws. B.A., Northwestern University, 1983; Member, Phi Beta Kappa.